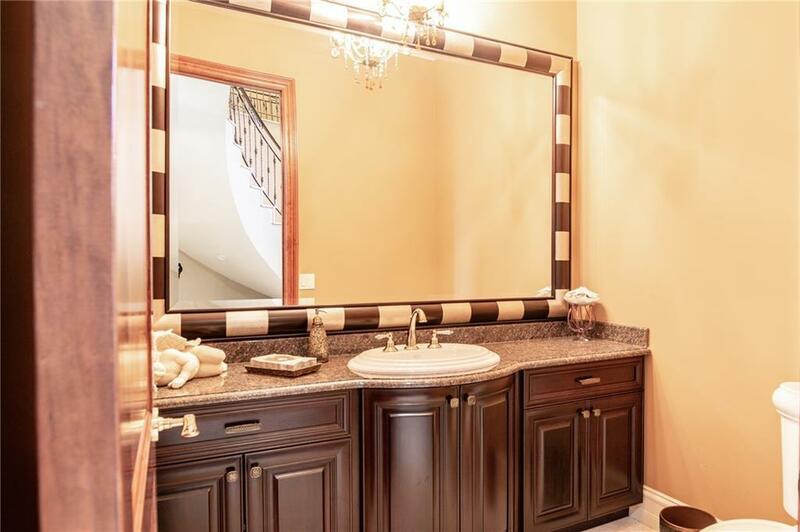 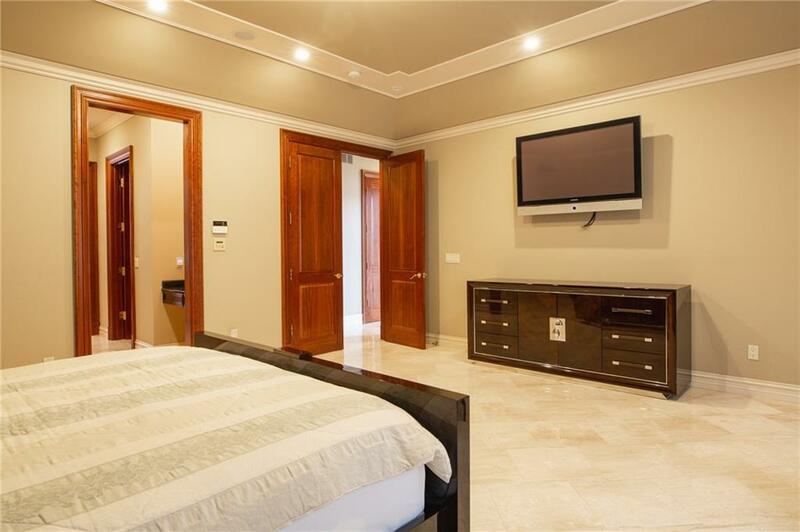 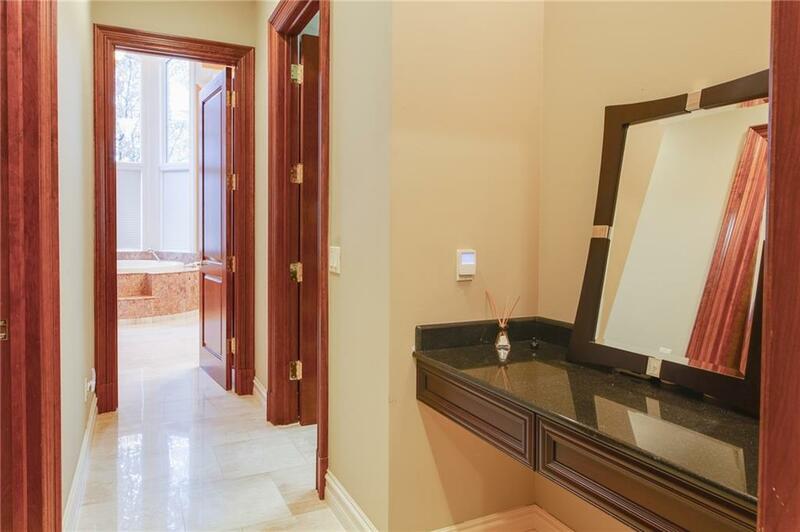 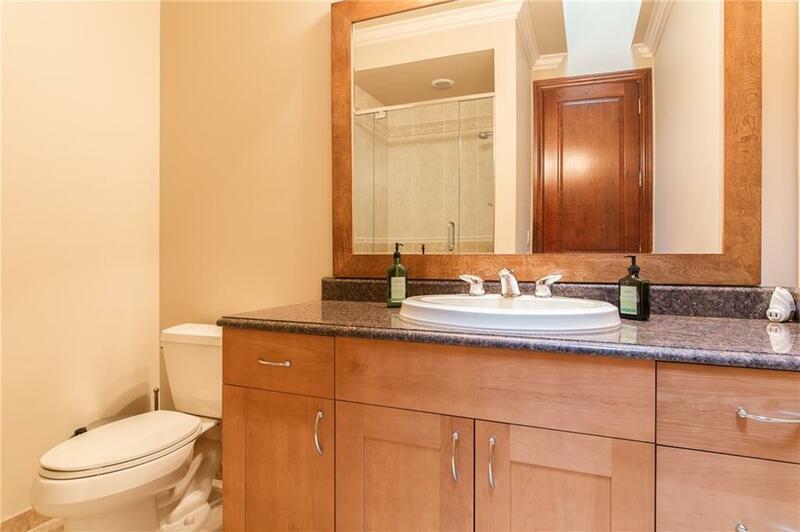 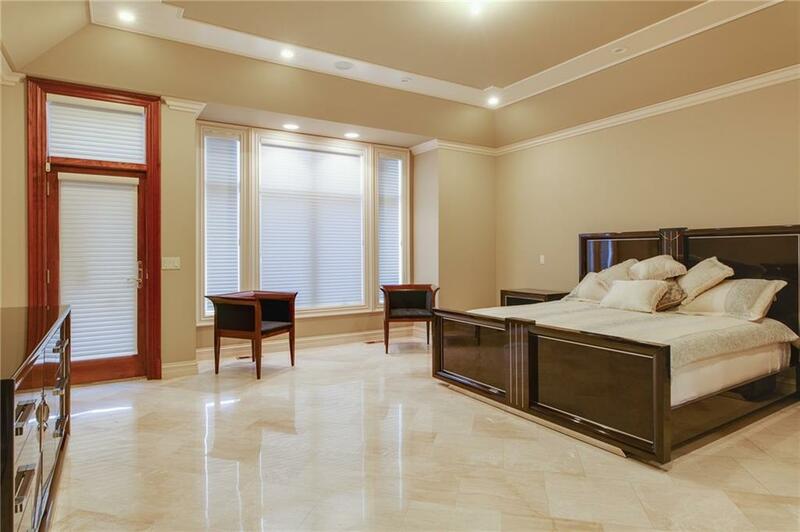 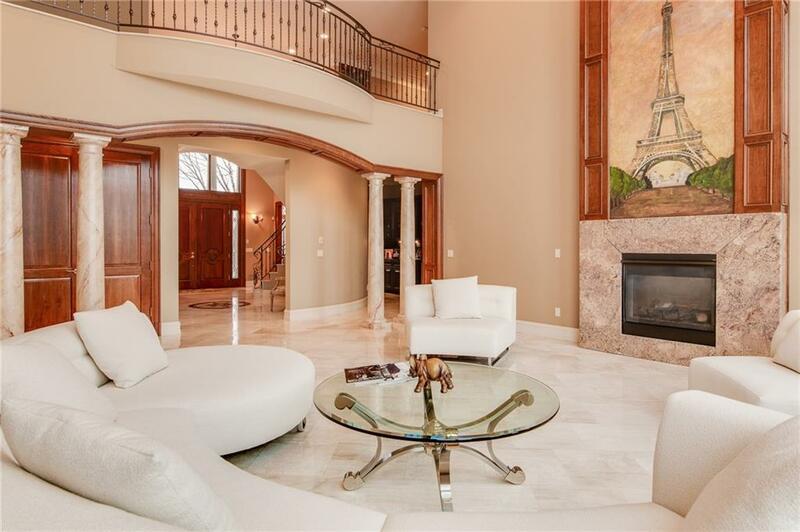 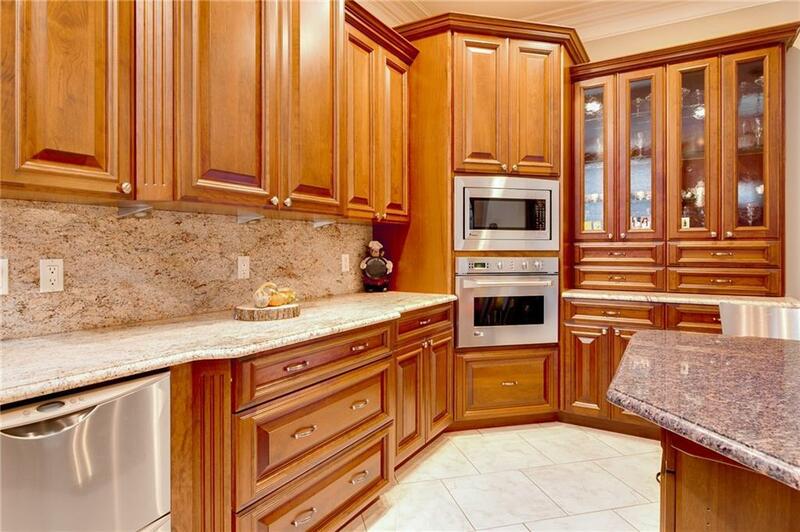 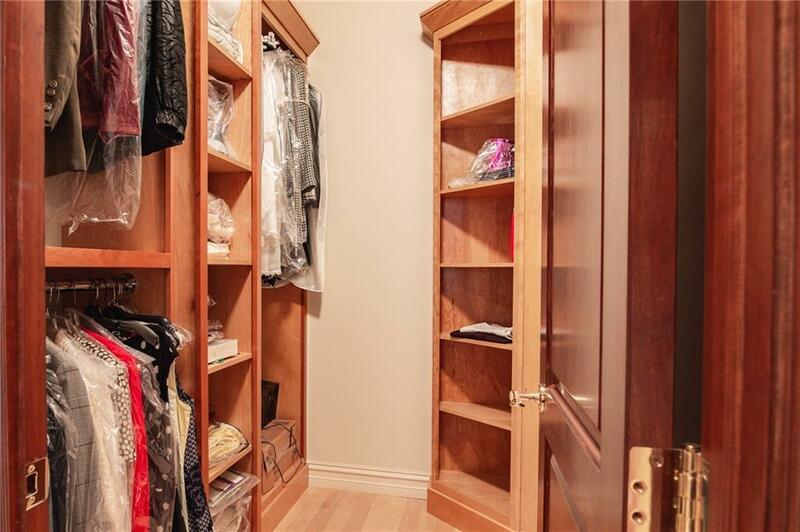 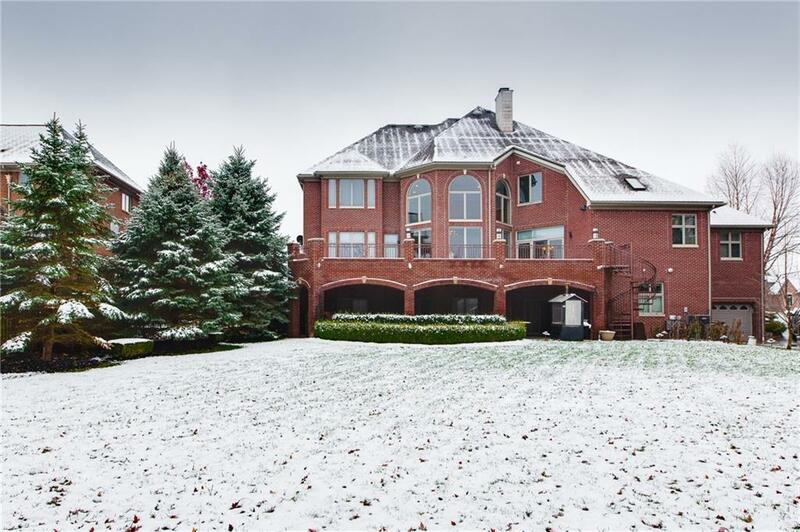 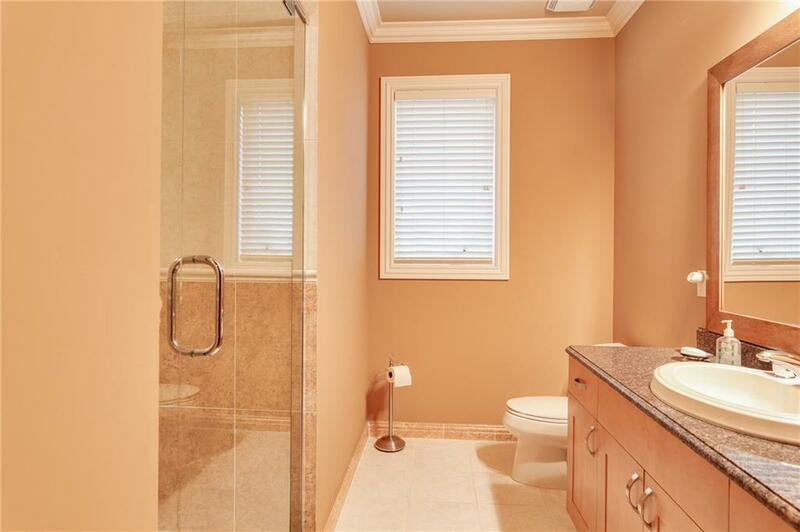 Builders custom home in Pondview Estates, 5 bedrooms all with ensuites and walk in closets! 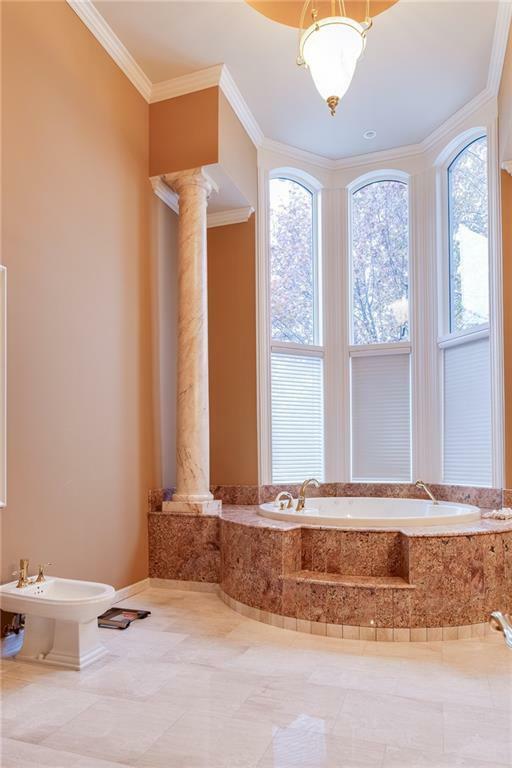 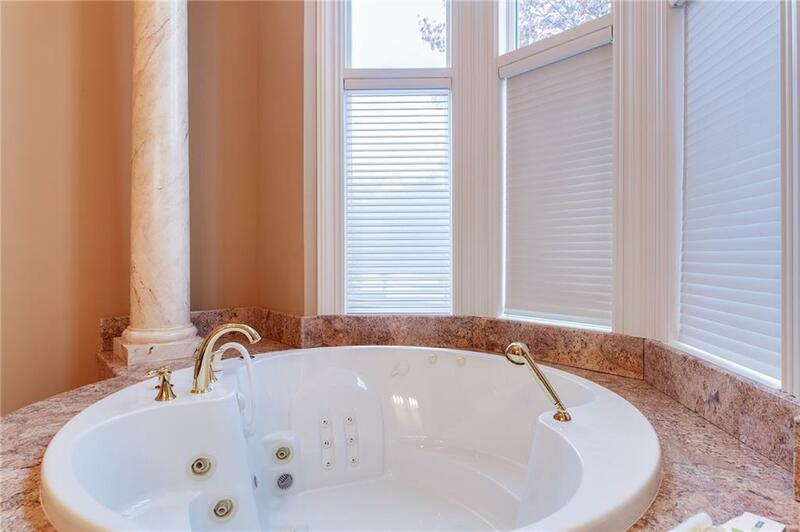 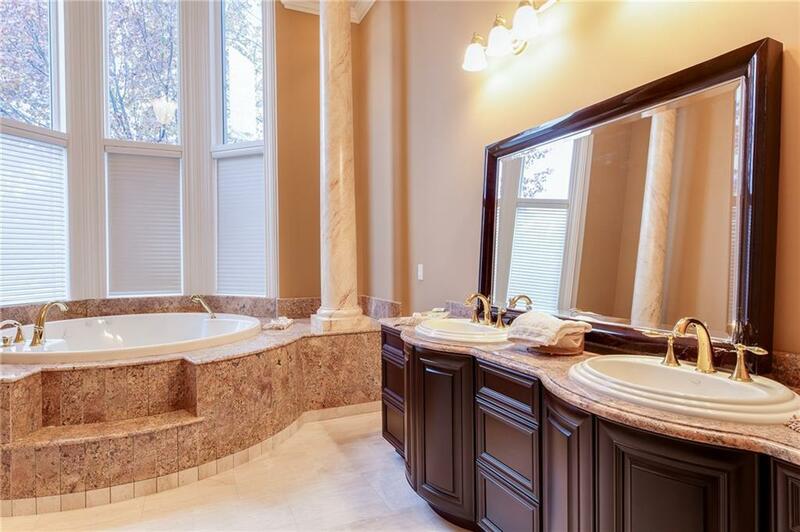 The master bathroom has stunning jazzui tub and two story ceiling. 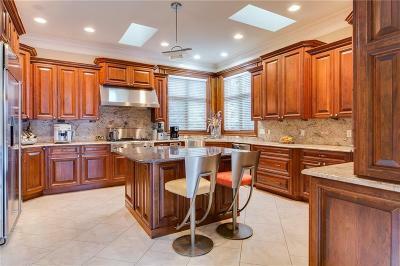 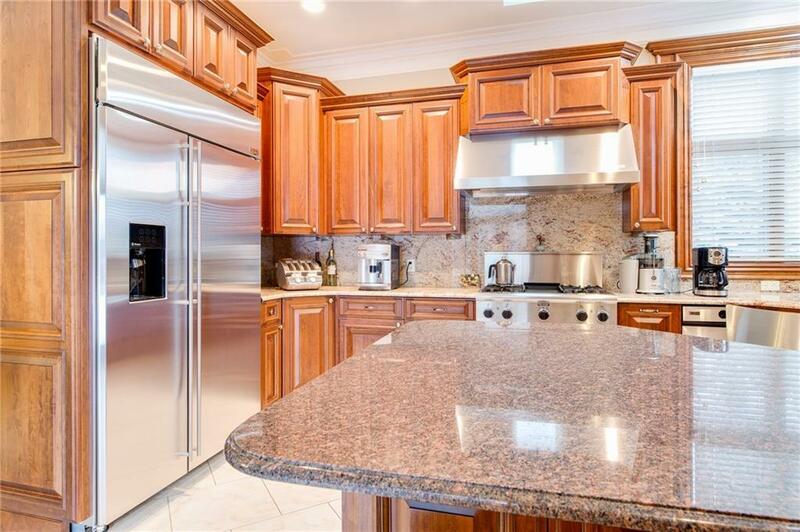 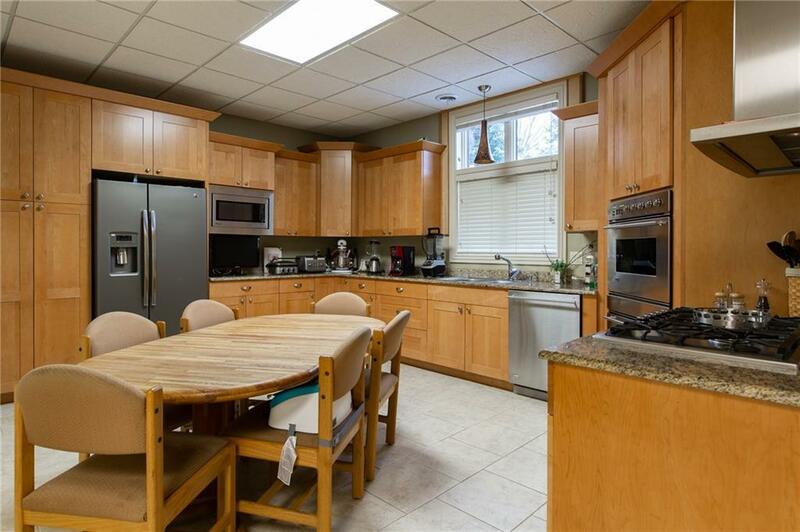 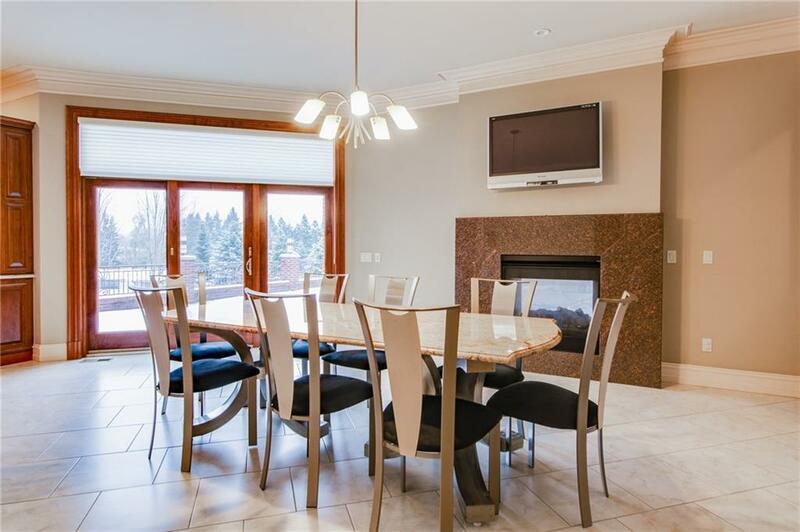 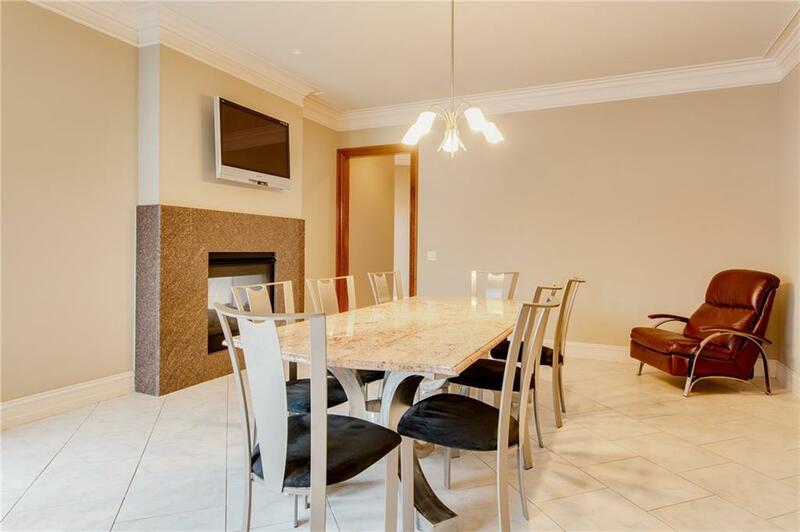 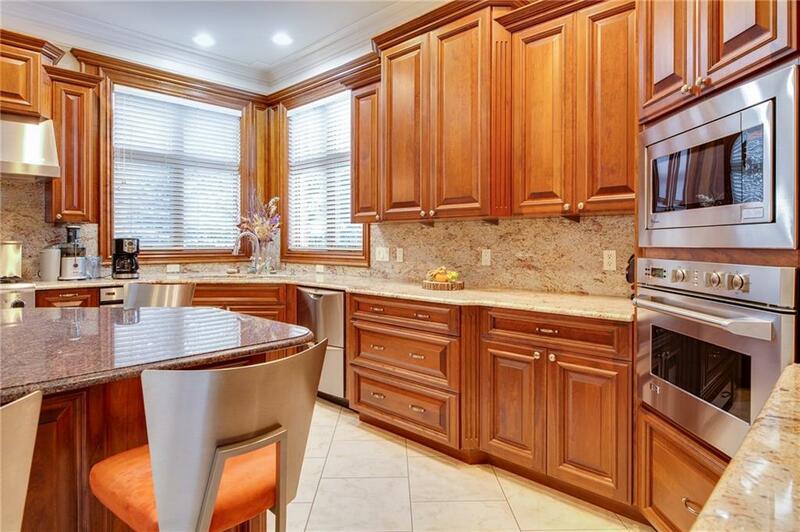 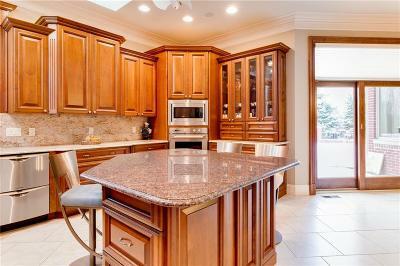 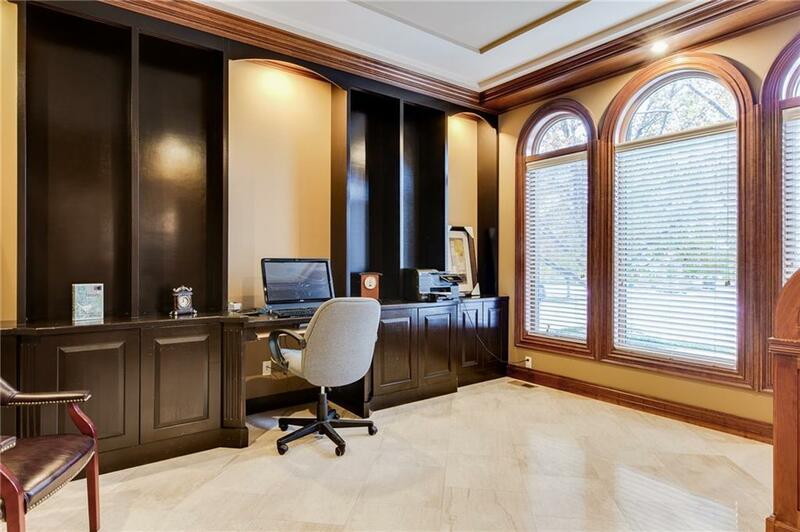 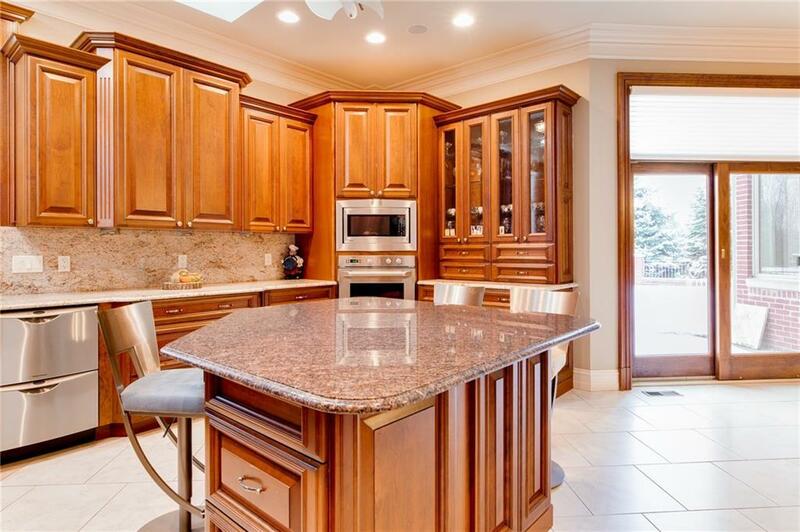 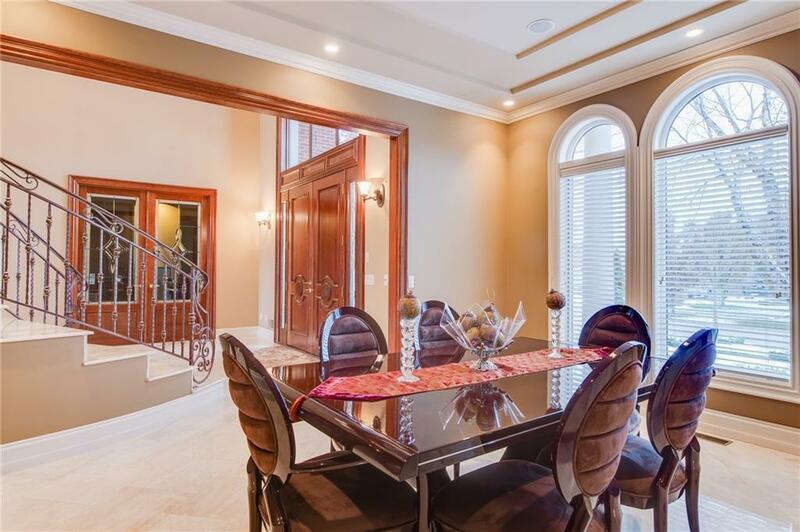 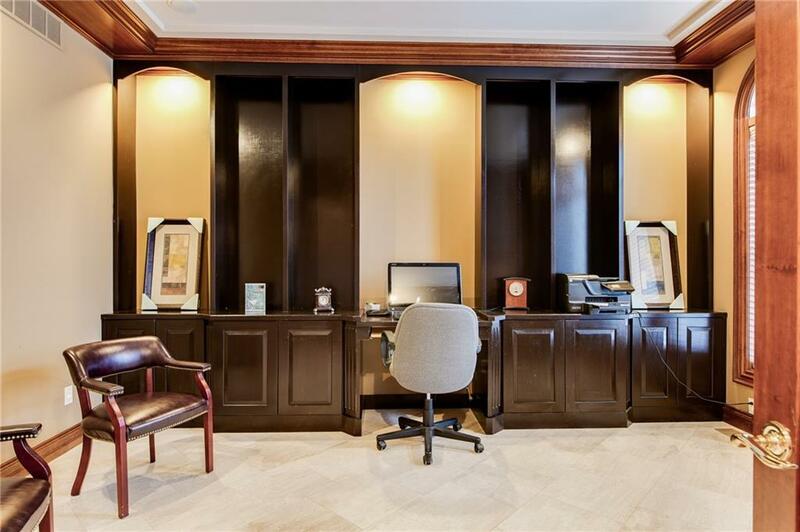 Formal dining room, library, large kitchen with built in appliances, nook and two way fire place to the great room. 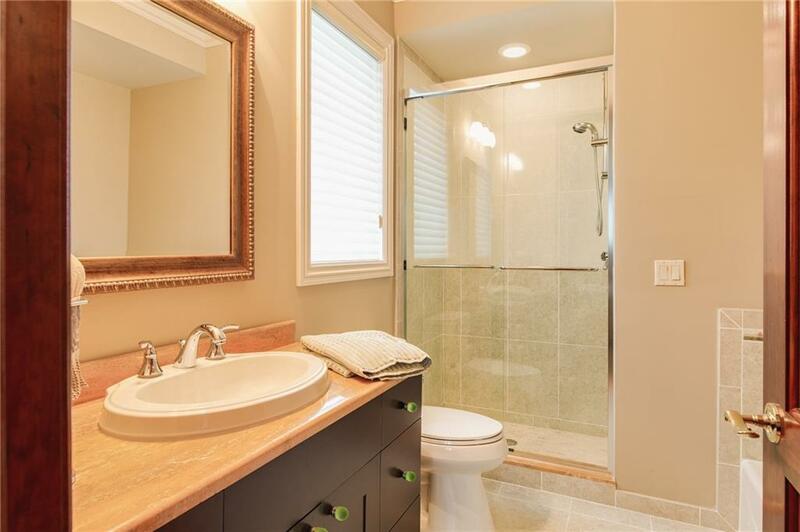 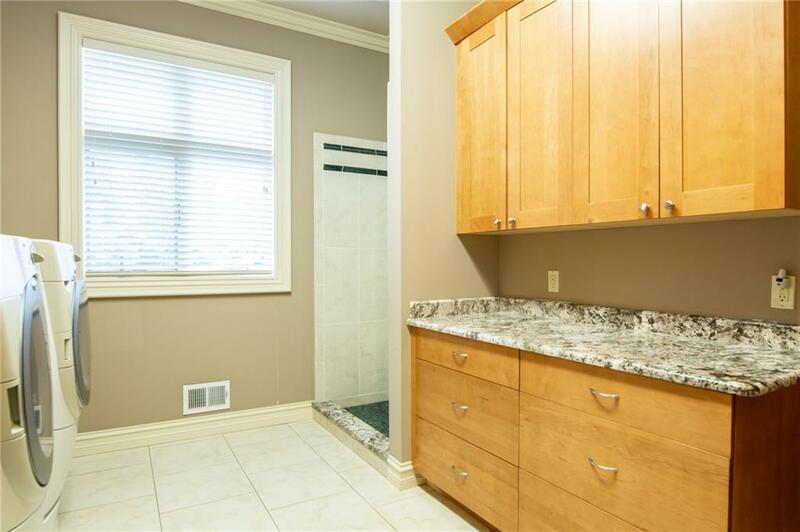 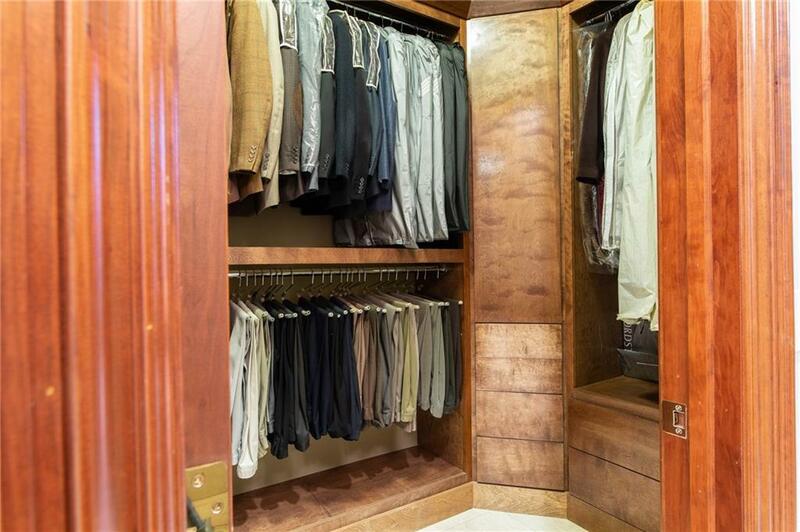 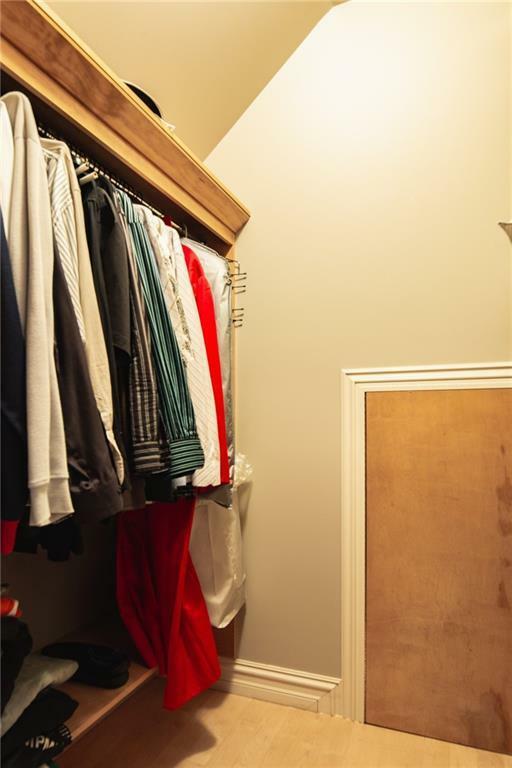 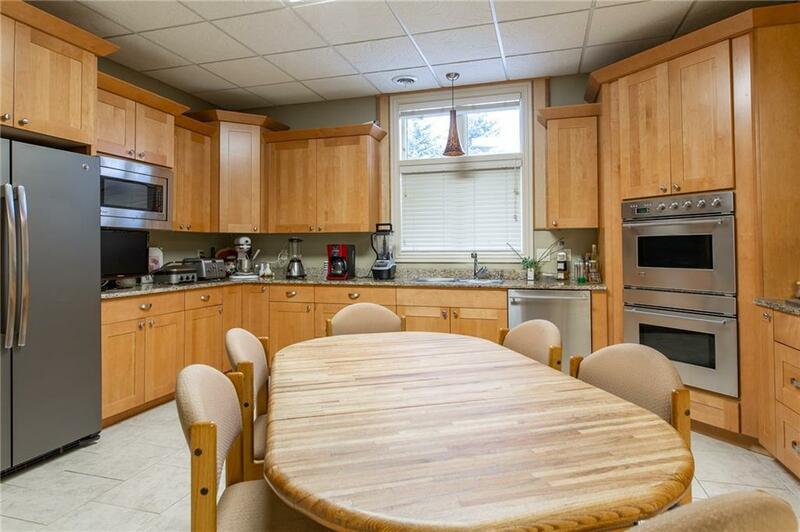 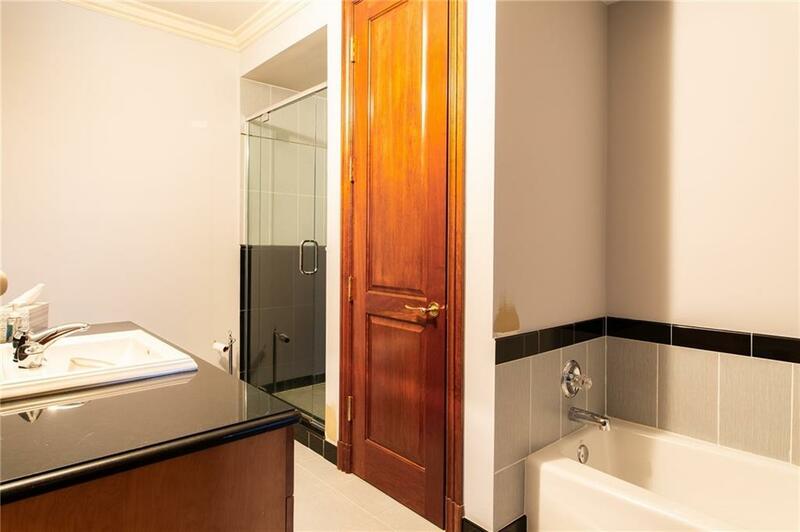 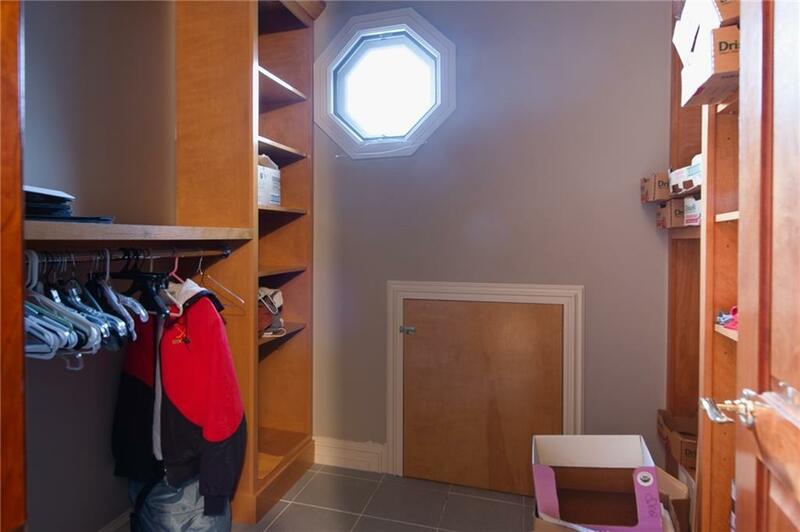 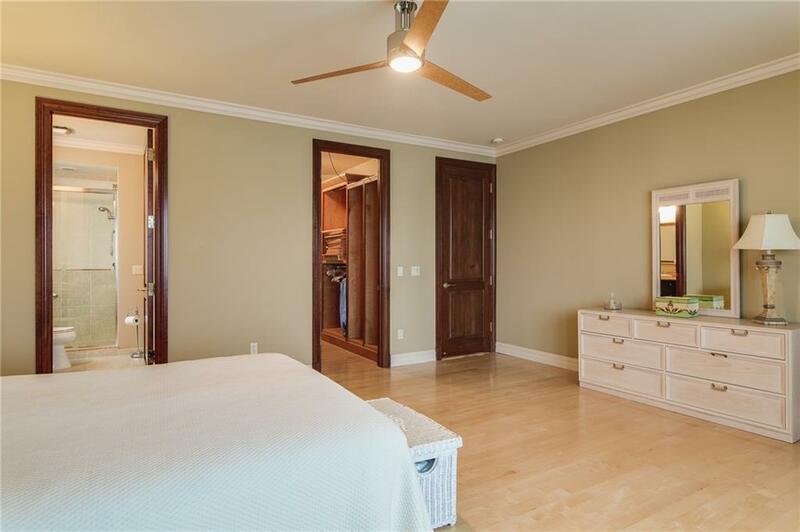 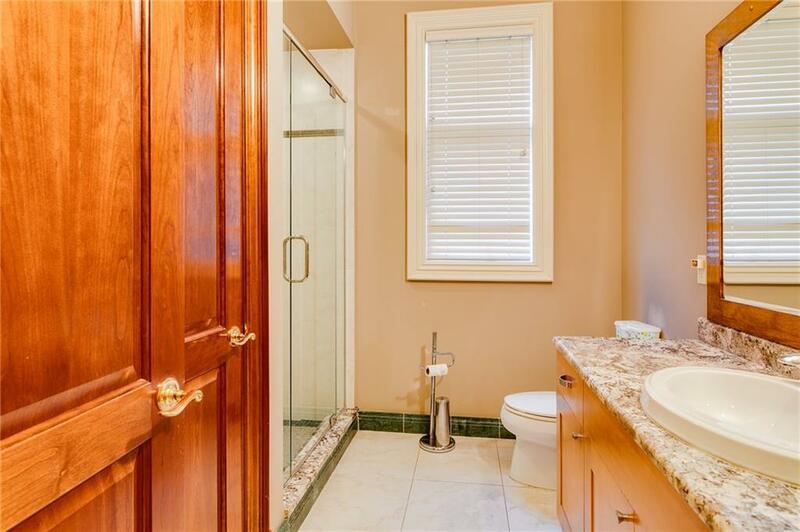 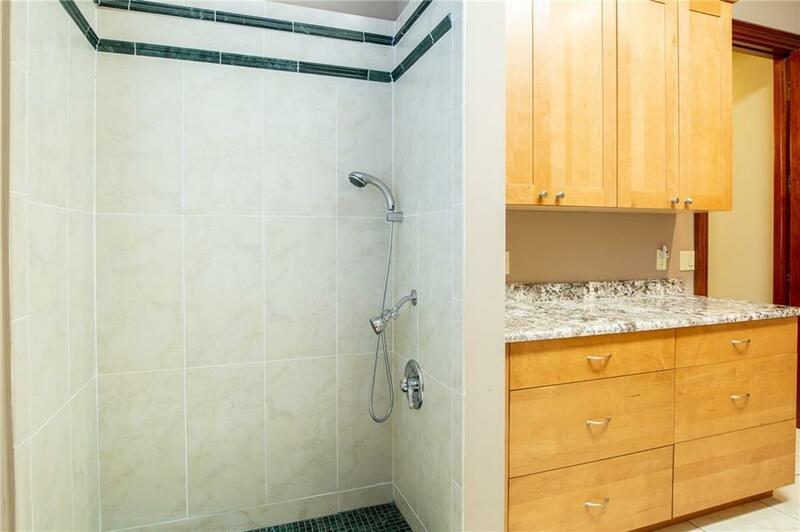 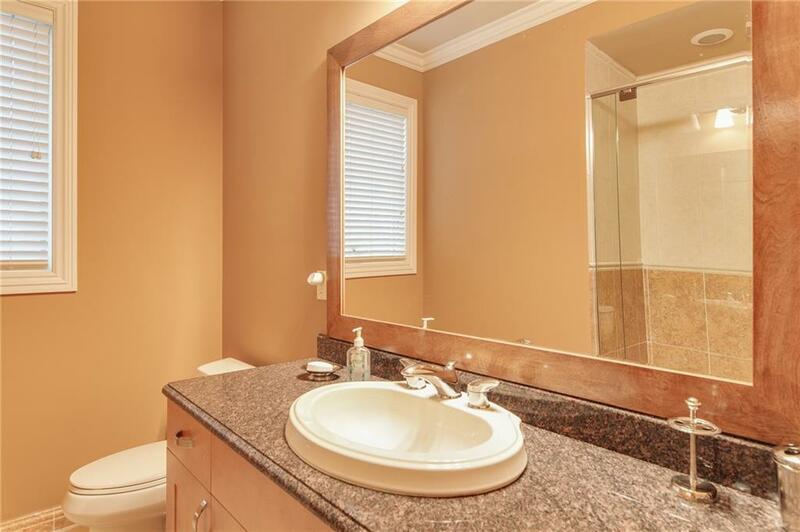 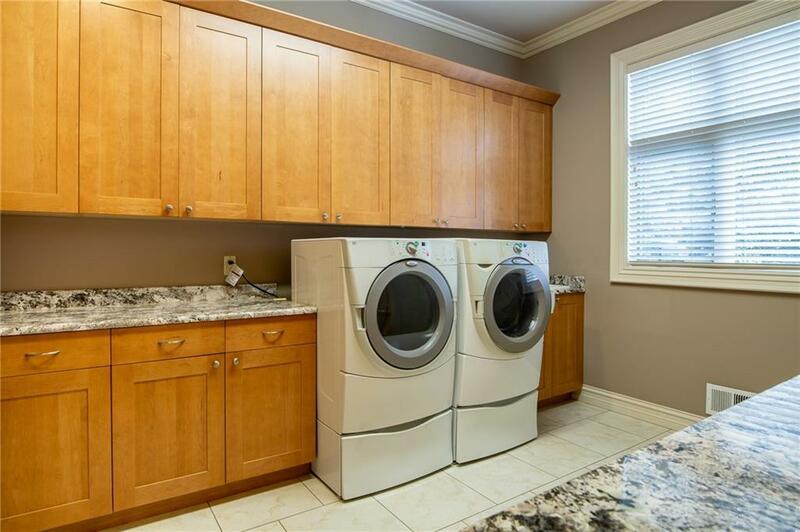 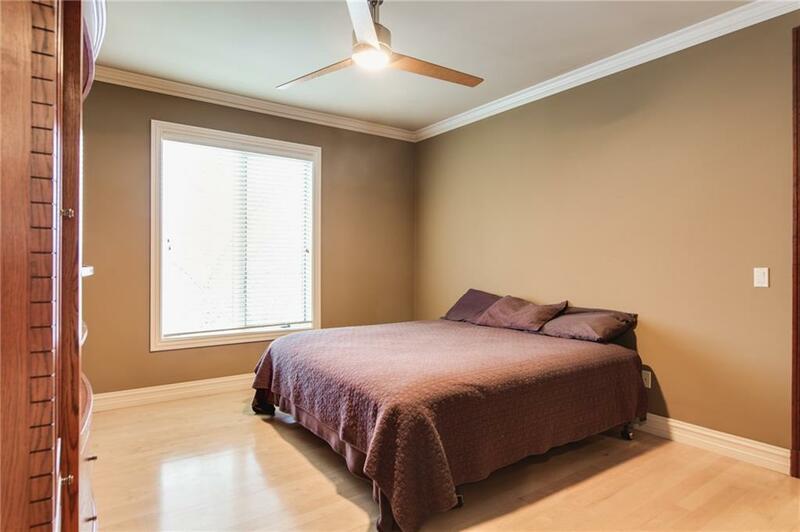 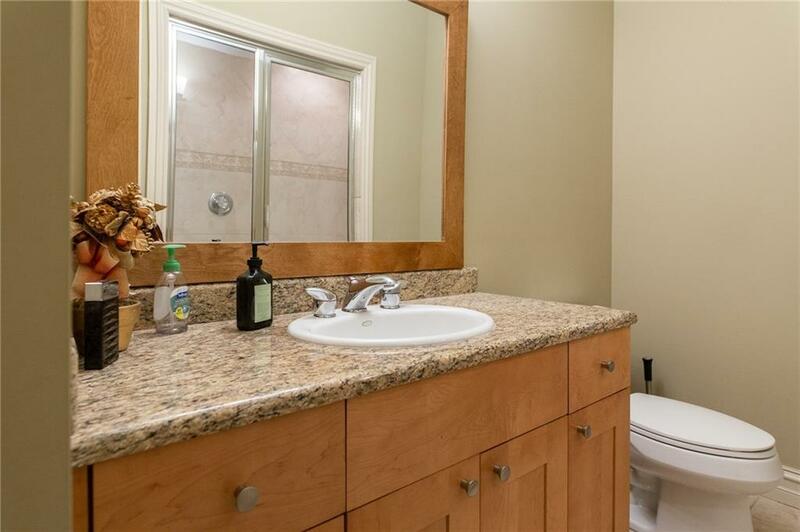 Large first floor laundry room with plenty of storage and shower. 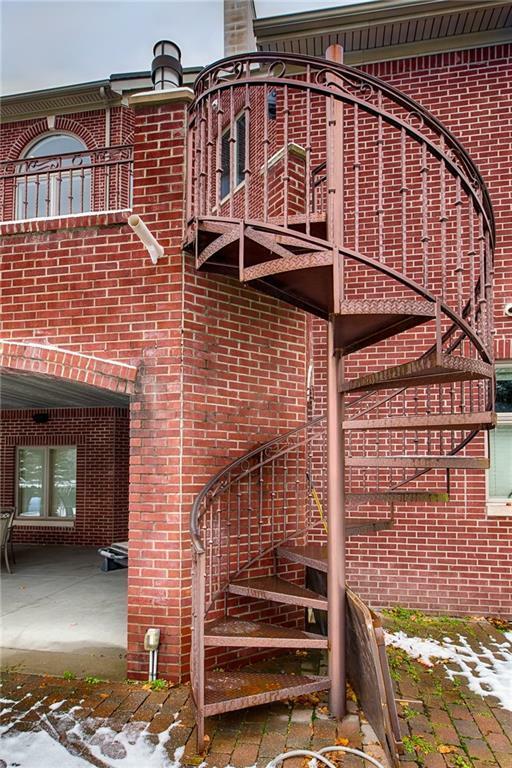 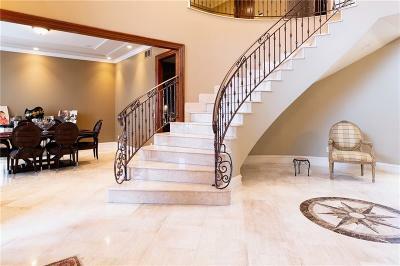 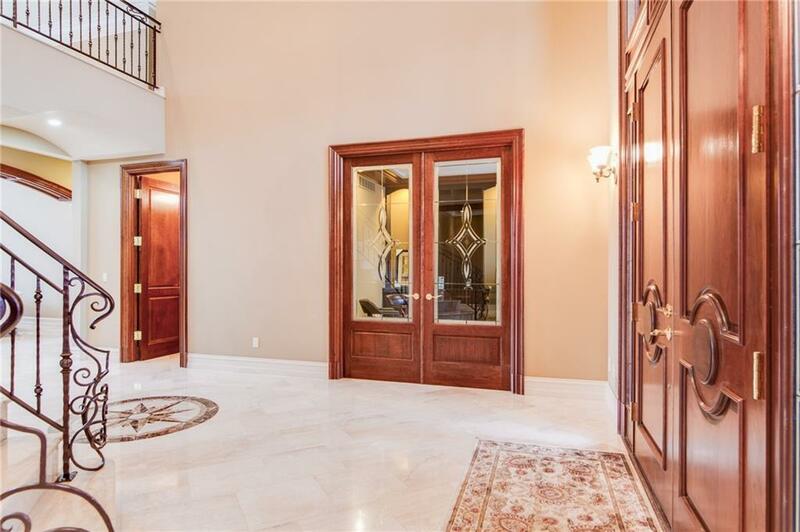 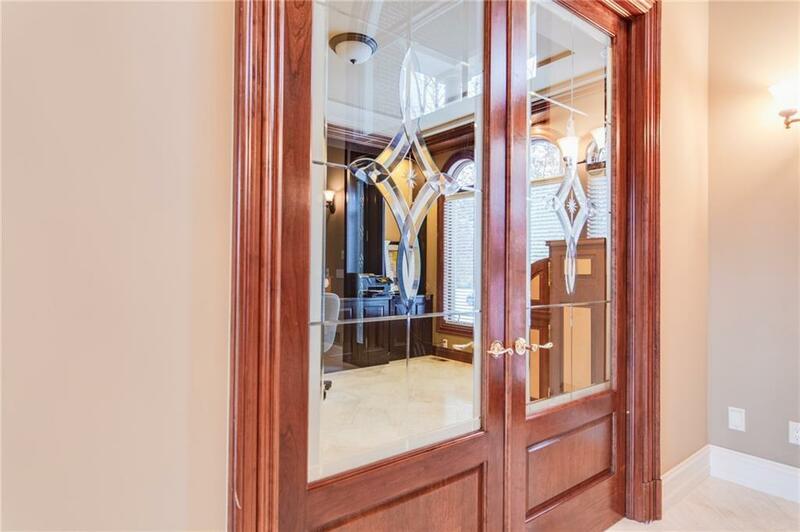 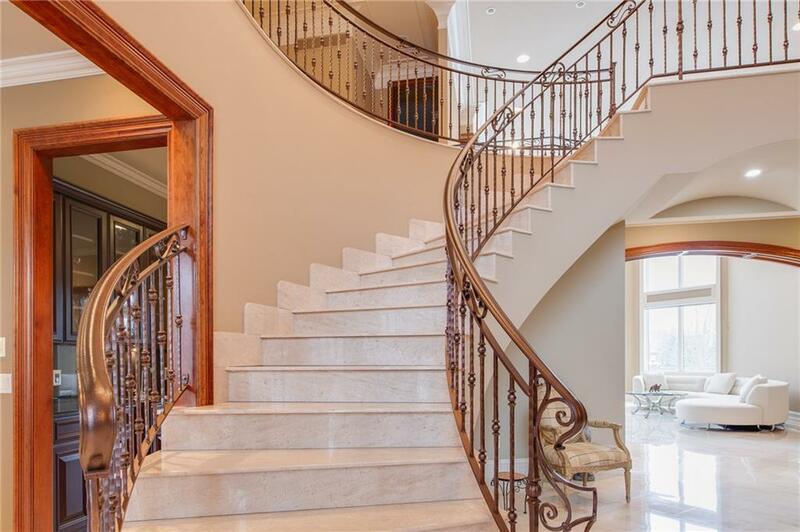 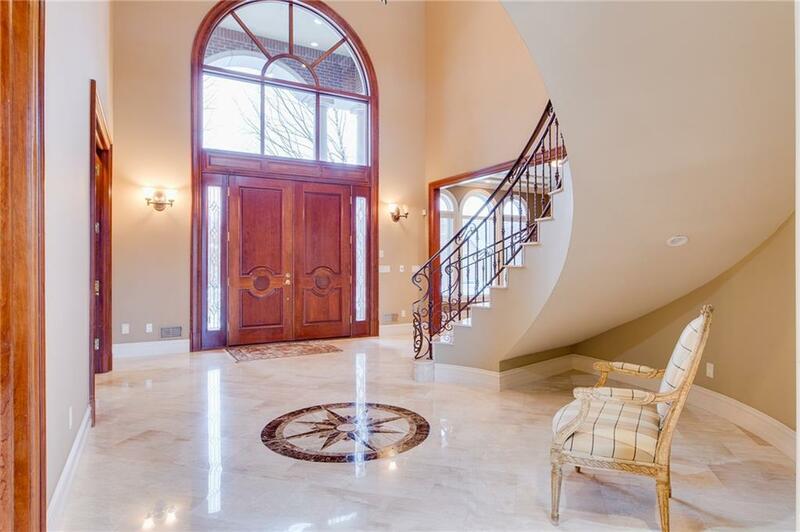 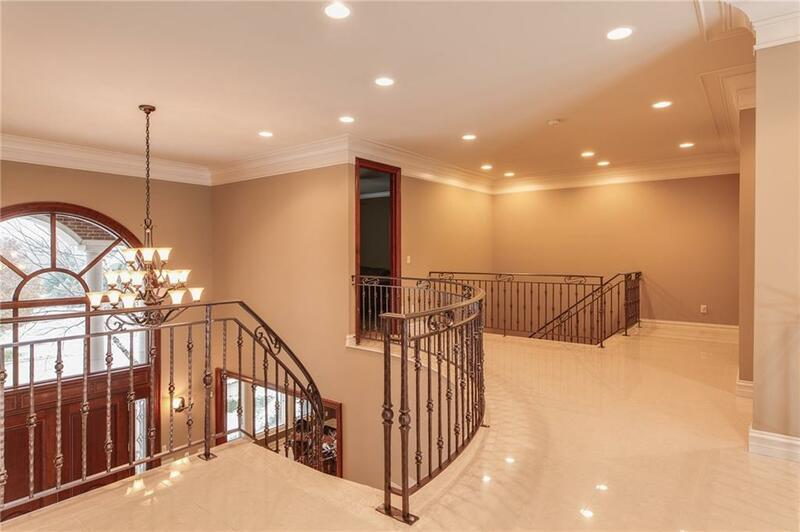 Foyer has grand staircase with custom wrought iron rail. 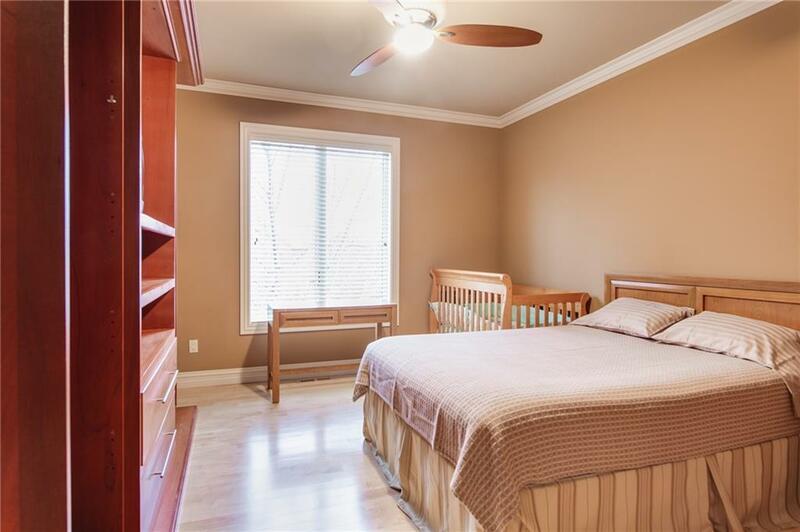 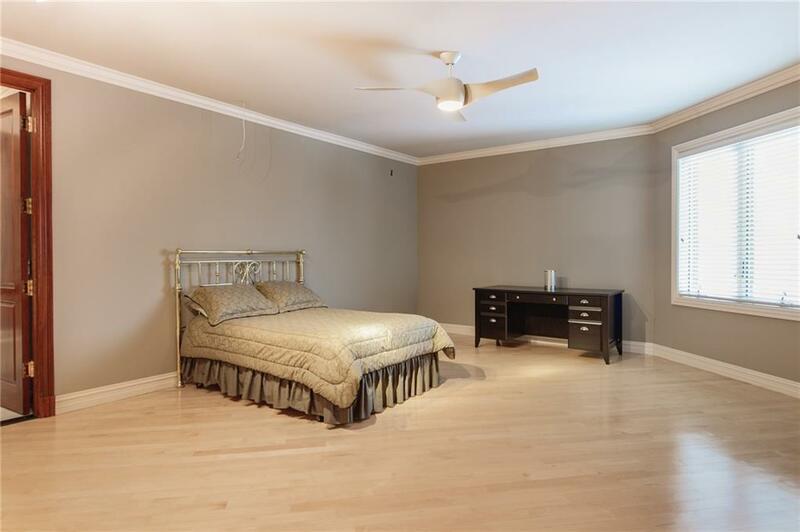 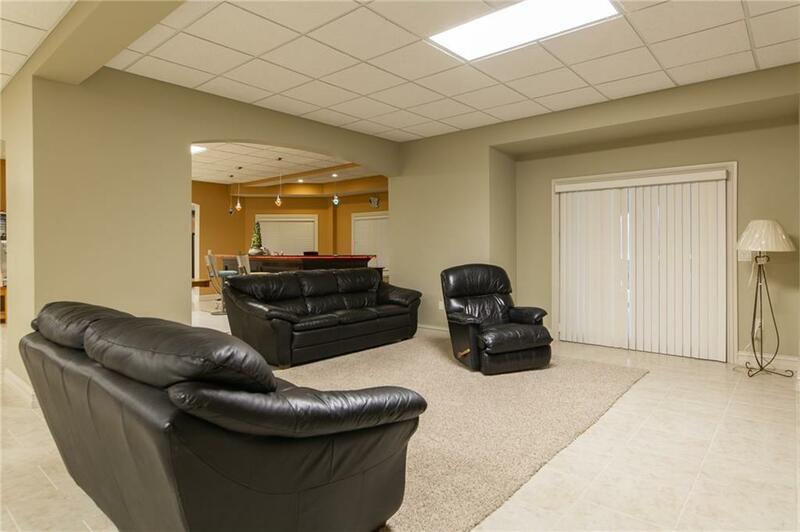 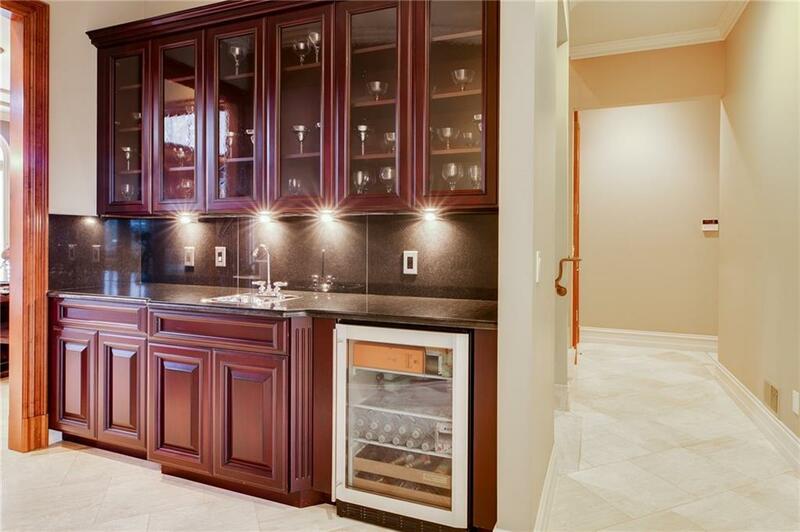 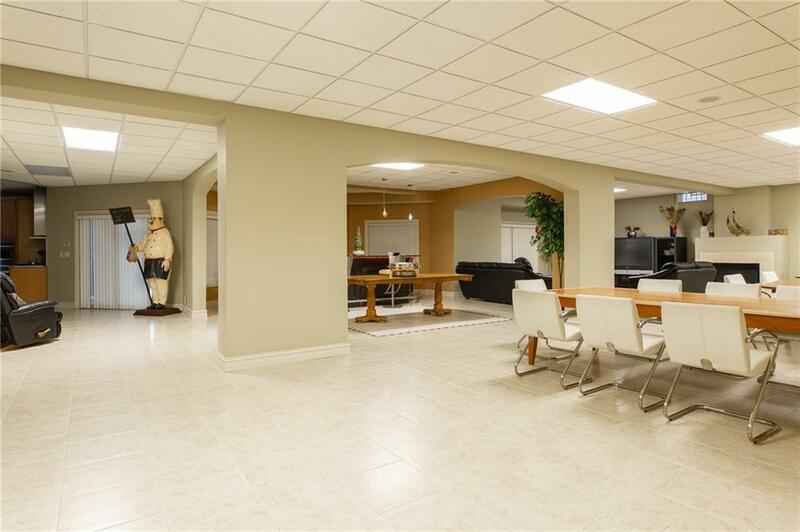 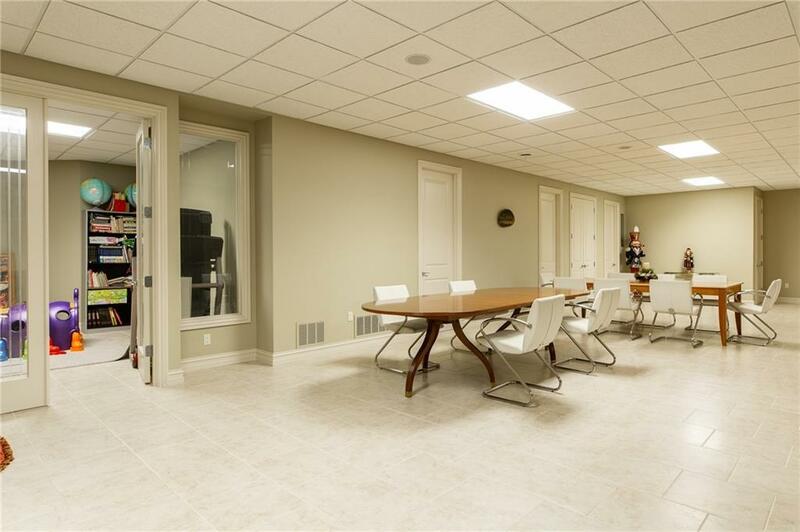 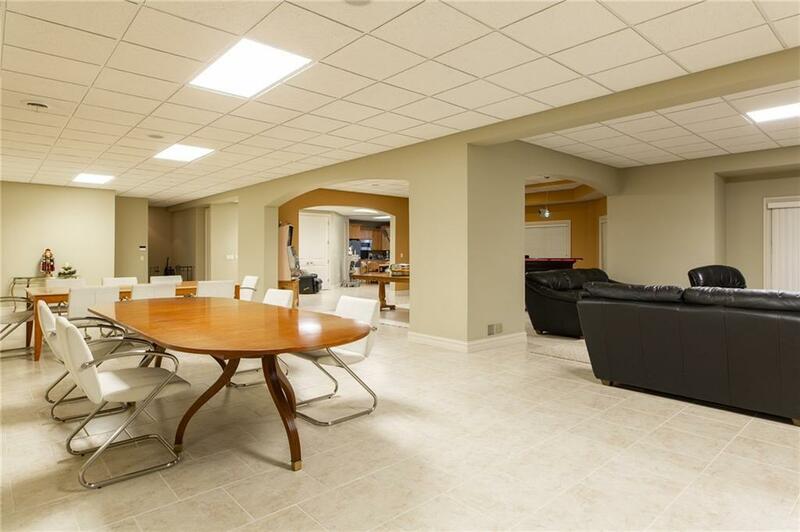 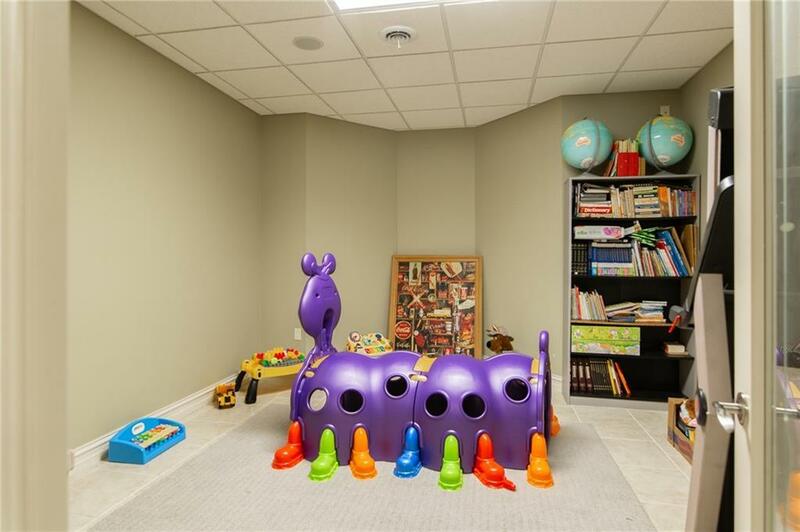 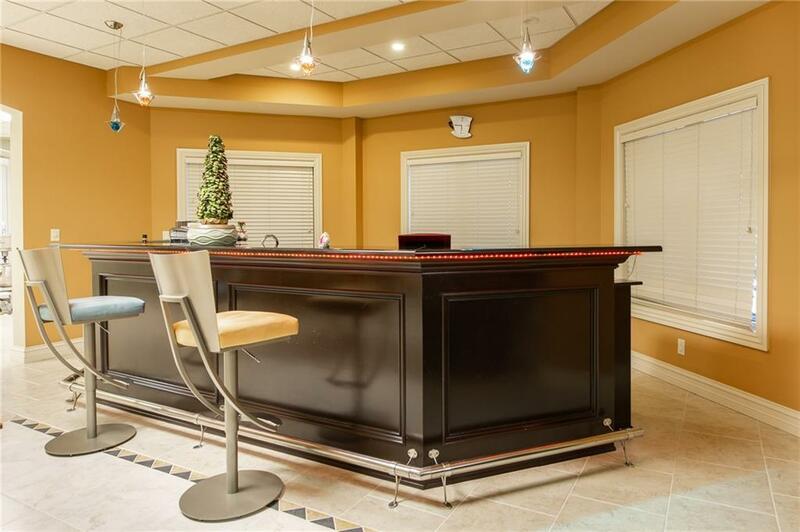 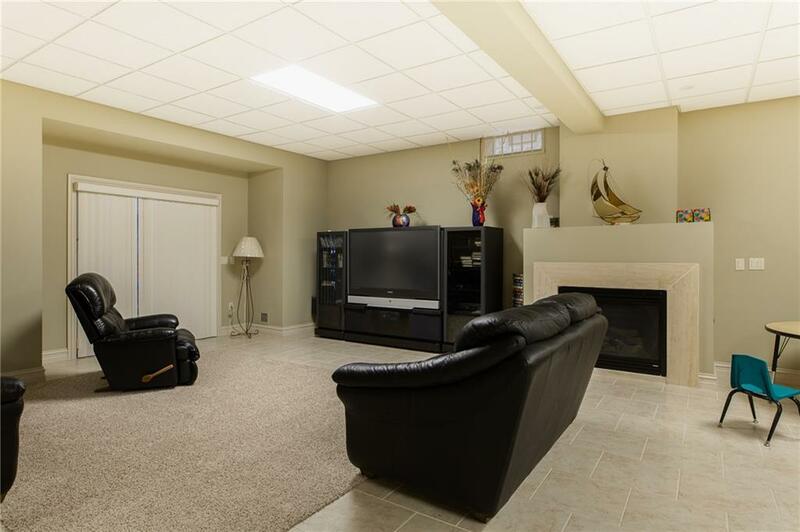 Fully finished walk out basement with full kitchen, full bathroom, custom bar, living and storage rooms. 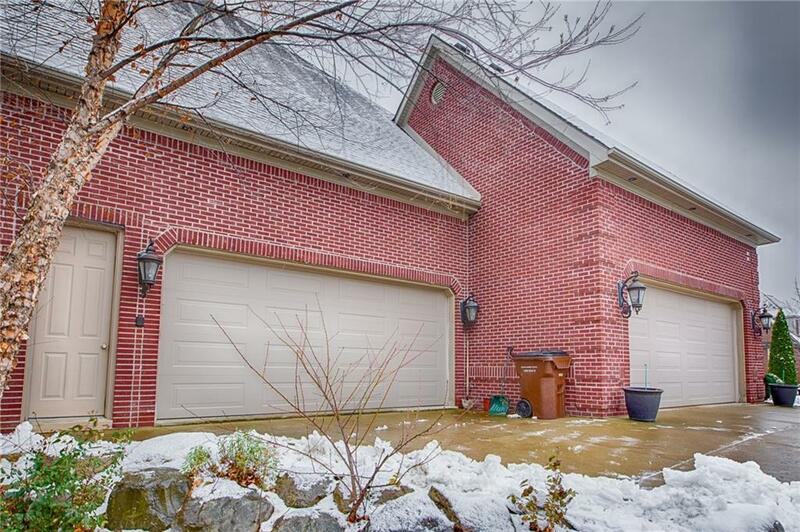 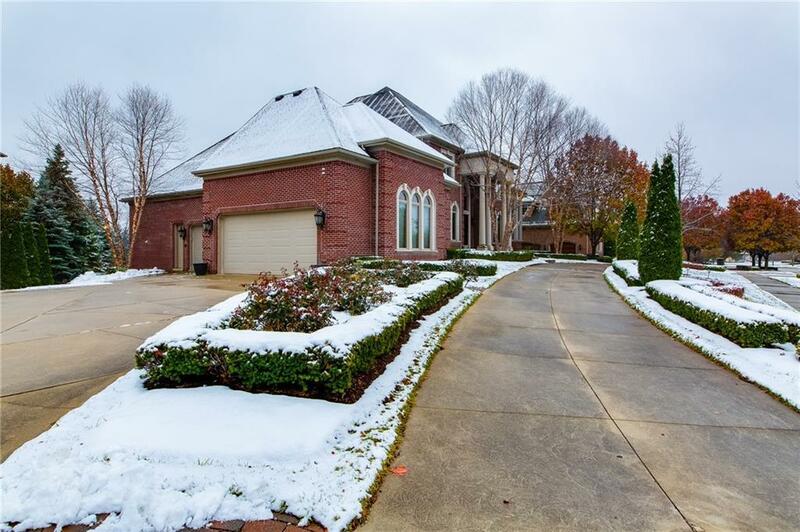 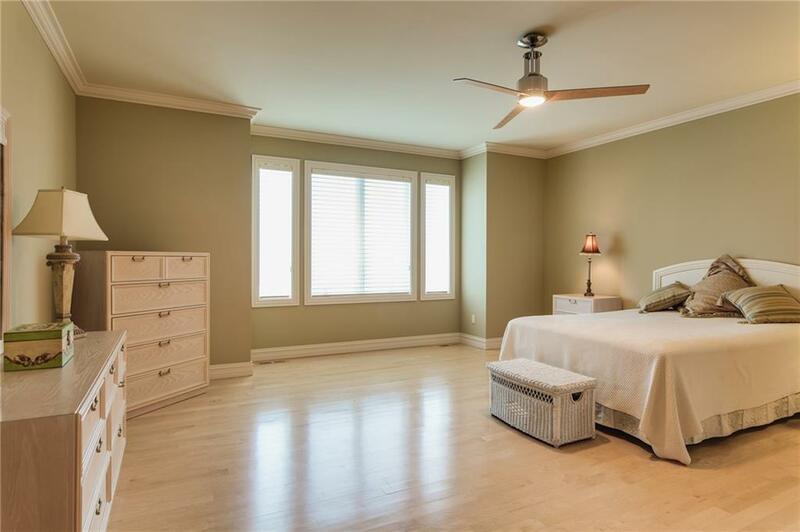 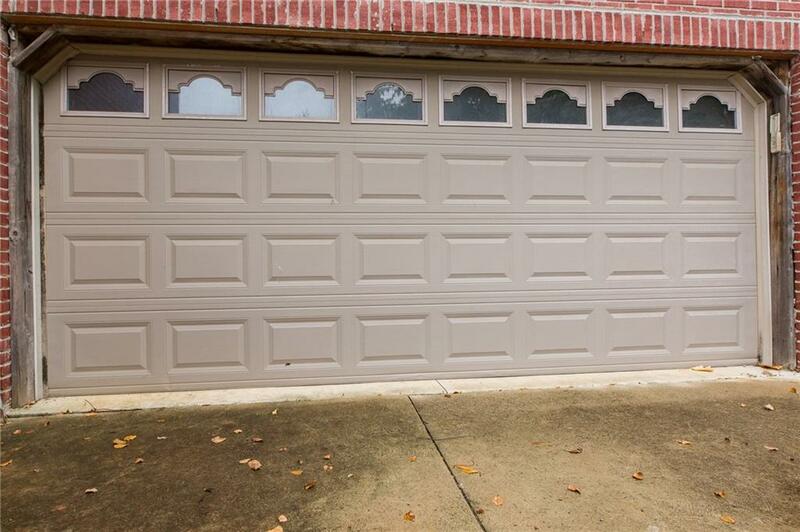 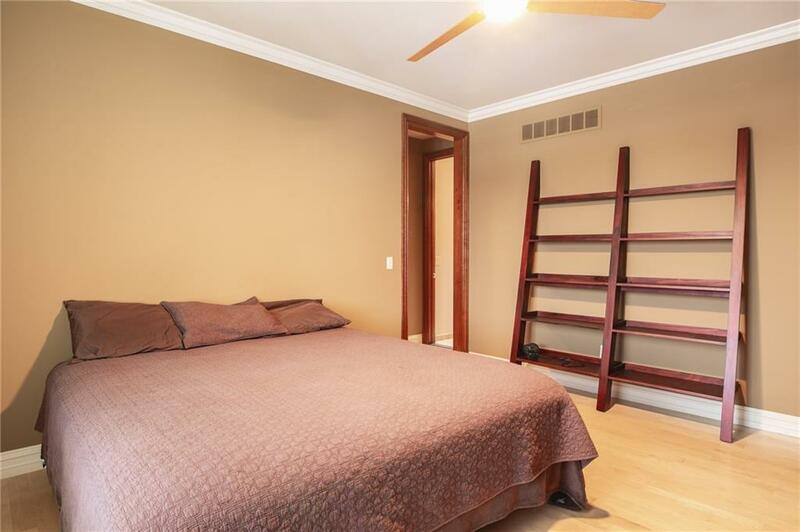 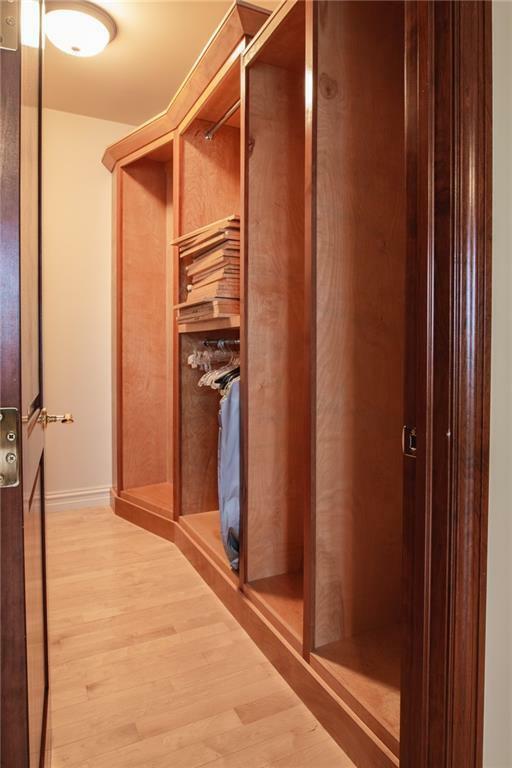 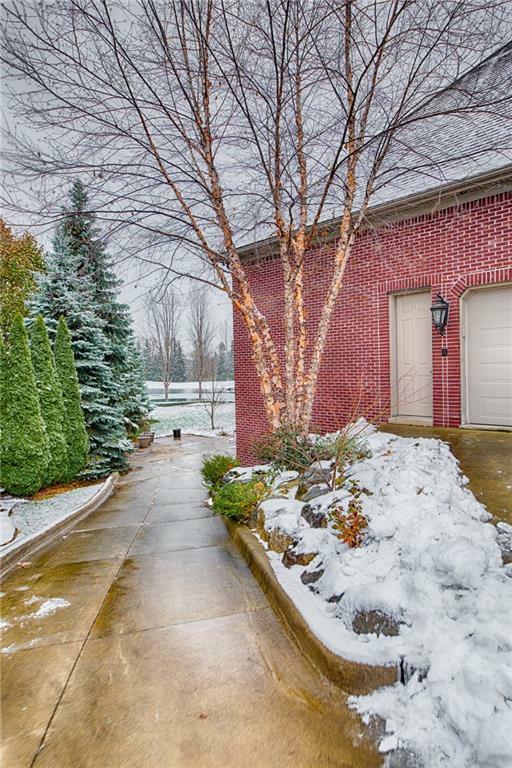 This home has a four car garage with an additional garage/storage space below with overhead door. 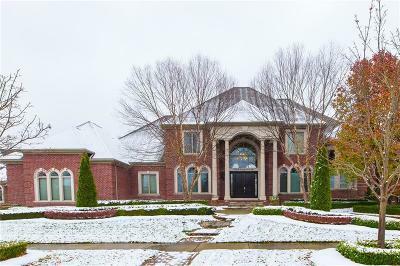 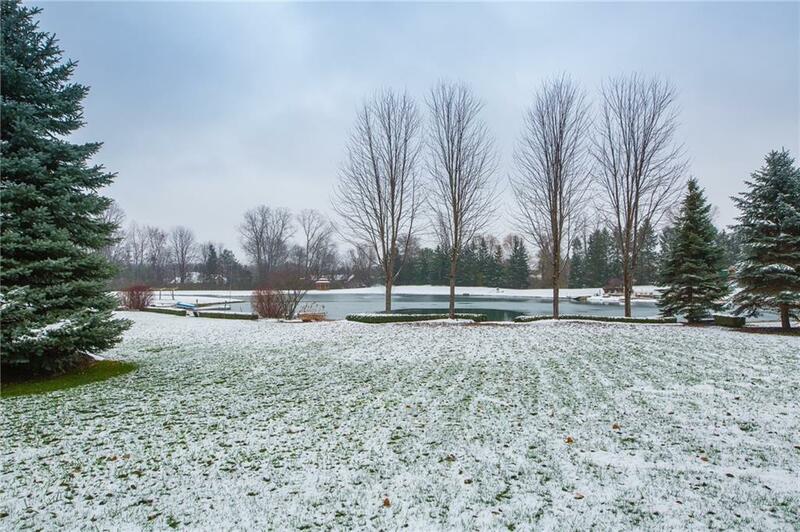 The two story patio overlooks a private pond with fountain and gazebo. 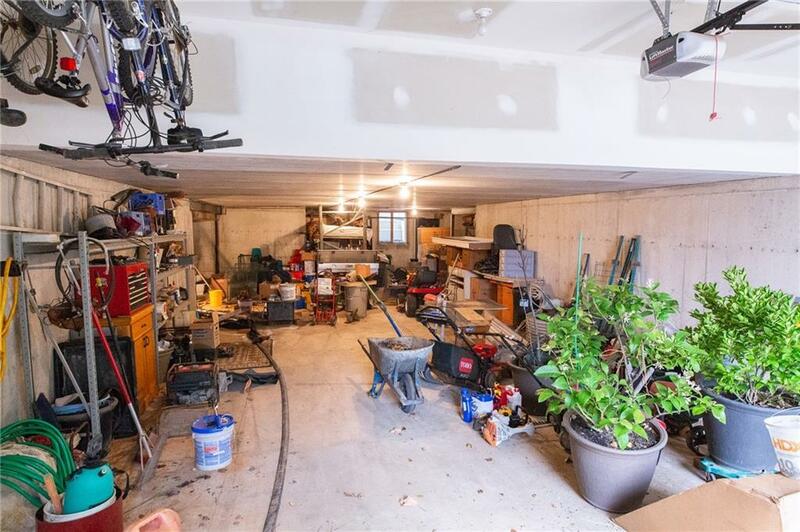 Professional landscaped. 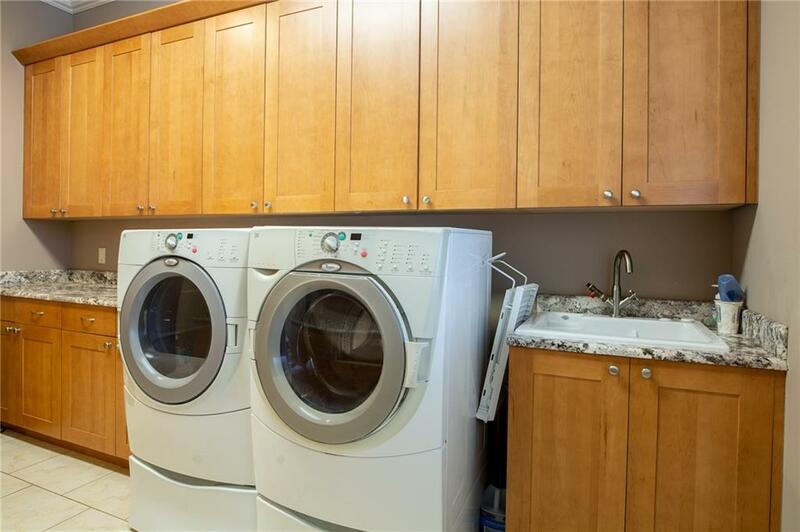 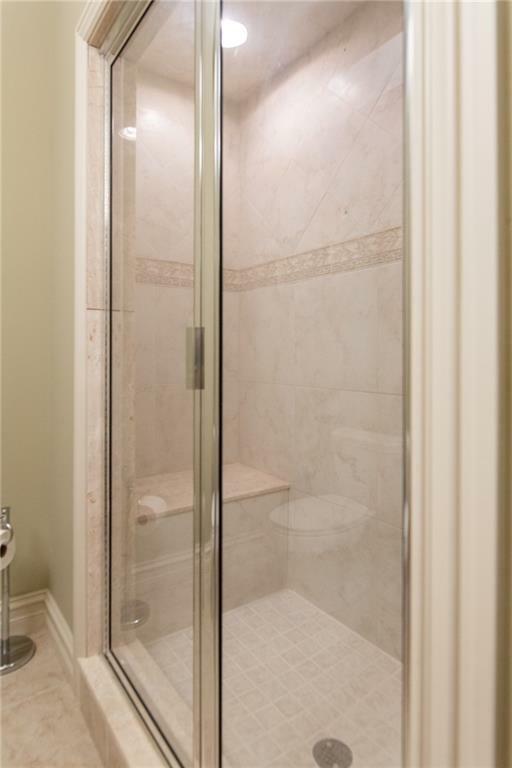 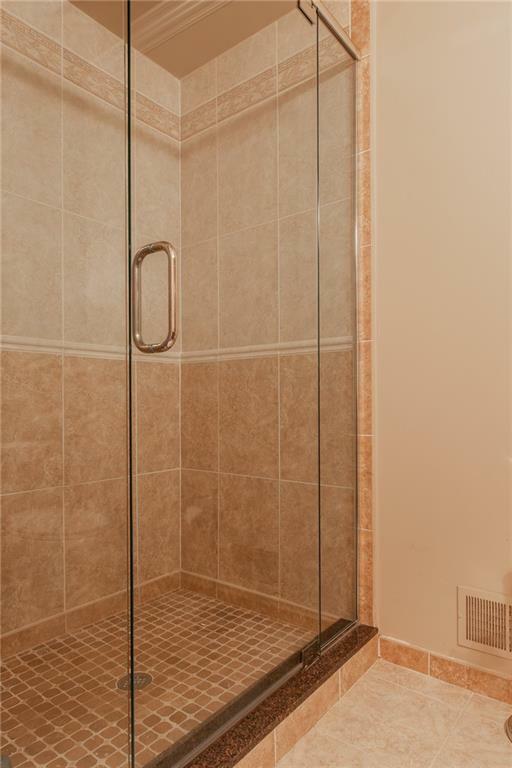 All appliances staying on first floor and basement, excludes both sets of washer and dryers and master bathroom mirror.